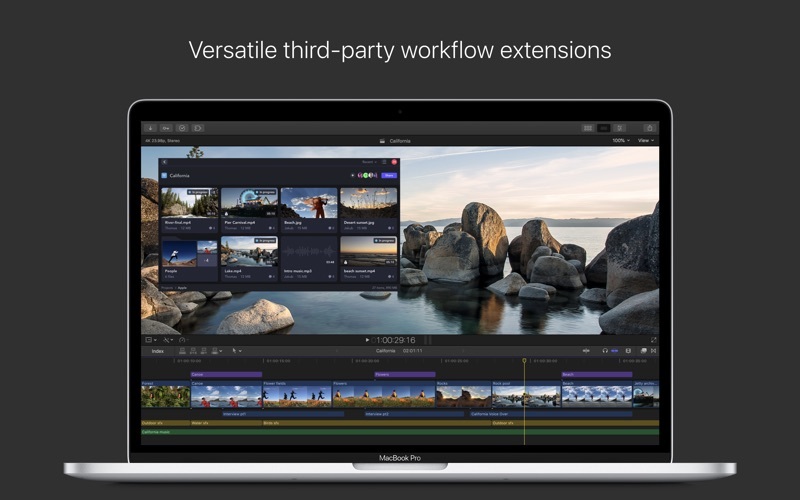 Redesigned from the ground up, Final Cut Pro combines revolutionary video editing with powerful media organization and incredible performance to let you create at the speed of thought. Revolutionary Video Editing • The Magnetic Timeline uses advanced metadata for faster, easier editing • Enhanced Timeline Index lets you drag and drop audio roles to rearrange the layout of your timeline • Use Clip Connections to attach B-roll, sound effects, and music to the timeline • Reduce clutter by grouping clips into a Compound Clip • Cycle through different shots, graphics, or effects at one place in the timeline with Auditions • Edit multicamera projects with automatic syncing based on audio waveforms and support for up to 64 camera angles • Import and edit 360° equirectangular video in a wide range of formats and frame sizes • Create, edit, and deliver closed captions from within Final Cut Pro • Extend the capabilities of Final Cut Pro with third-party workflow extensions that open within the Final Cut Pro interface Powerful Media Organization • Organize your work within libraries for efficient media management and collaboration • Content Auto-Analysis captures camera metadata and analyzes shots in the background • Create and apply custom keywords or favorites on the fly as you select clip ranges • Smart Collections dynamically organize content for you to quickly find any shot in a few clicks Incredible Performance • Final Cut Pro uses all the GPUs in your Mac for superior real-time playback performance and fast background rendering • 64-bit architecture uses all the RAM in your system for larger projects and richer effects • Background processing lets you keep working without interruption • Work natively with a broad range of formats including ProRes, RED, XAVC, AVCHD, H.264, HEVC from DSLRs, and more Compelling, Customizable Effects • Beautifully animated, easily customizable 2D and 3D titles • Change the look of titles, transitions, and effects using intuitive controls • Choose from an extensive ecosystem of third-party FxPlug plug-ins with custom interfaces Integrated Audio Editing • Assign roles — including dialogue, music, effects, and custom choices — during import to easily track and organize your project • Expand and edit multichannel audio files directly in the timeline • Let Final Cut Pro repair audio problems such as hum, excessive background noise, and more • Sync DSLR video with separate audio in a single step with instant audio waveform matching Intuitive Color Grading • Import, edit, and deliver video in standard color spaces, or in wide Rec. 2020 color space • Improve the look of any clip with one-click Balance Color • Manipulate color, saturation, and exposure with the Color Board • Powerful color wheels and curves for precise adjustments with keying and masks One-Step, Optimized Output • Incredibly fast export for playback on Apple devices and upload to websites such as Vimeo and YouTube • Use themed menus to author and burn a DVD or Blu-ray disc • Export audio stems and multiple versions of a finished video using roles metadata • Import and export XML for third-party workflows like color grading and sound mixing System Requirements: macOS 10.13.6 or later, 4GB of RAM (8GB recommended for 4K editing, 3D titles, and 360° video editing), OpenCL-capable GPU graphics card or Intel HD Graphics 3000 or later, 256MB of VRAM (1GB recommended for 4K editing, 3D titles, and 360° video editing), 3.8GB of available disk space. Some features require Internet access; fees may apply. Blu-ray recorder required for burning Blu-ray discs. Video output to VR headset requires Mac computer with discrete graphics running macOS High Sierra. 27-inch iMac with Radeon Pro 580 graphics recommended. 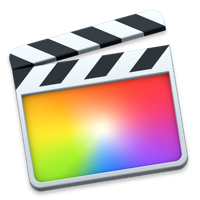 HEVC and HEIF support require macOS High Sierra. 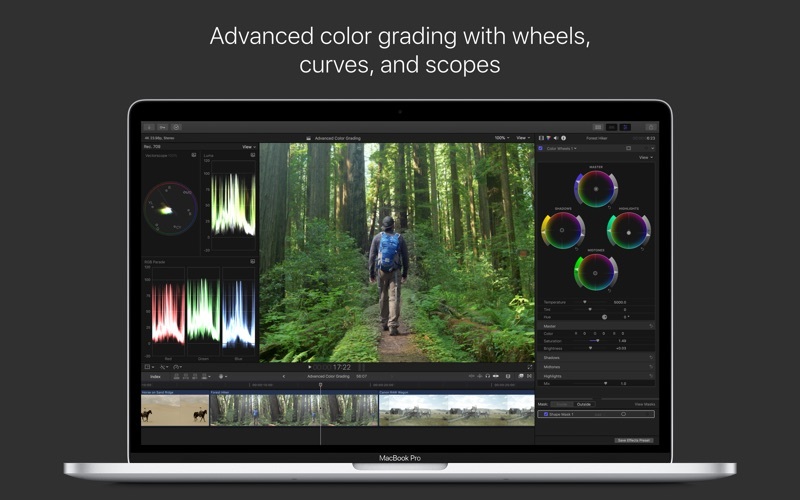 I've been using Final Cut Pro professionally for the last five years. It is consistantly buggy, it regularly crashes, and it's incredibly slow (even on the newest MacBook Pros). If I had to do it over again, I'd go with Premier. This dev team needs to get it together. I love it because I can own my licence. As a new graduate from film school Im just starting out and have responsibilities, so for me to have a program where i can do what i love and not have to worry about making monthly payments lets me learn at my pace and not break my pockets as i grow. If you havent updated....Don't. It renders v..e..r..y slowly and flat locked up with me. Never did that before the update. Somethings wrong. BTW, it's still rendering as I write this. 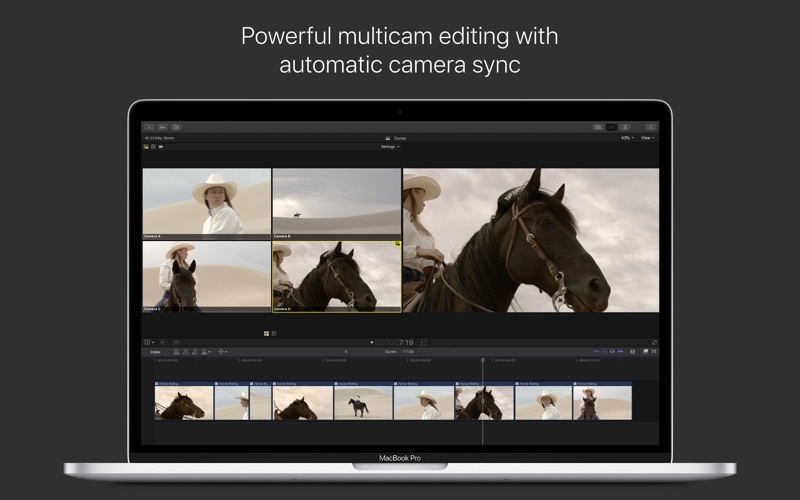 Best thing to happen to video editing. From cutting to color this is the future of film making, I live and breathe on this program and have rarely had any problems at all. I give it three stars for ease of use. 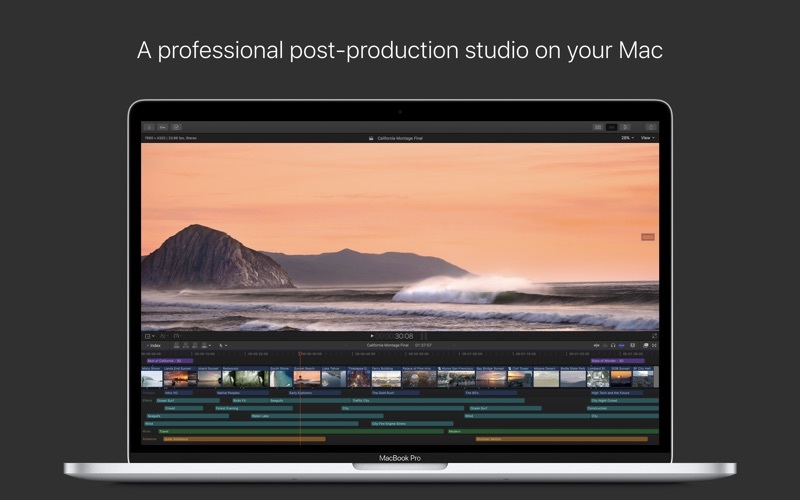 FCPX is not aging well, it is falling far behind compettors! 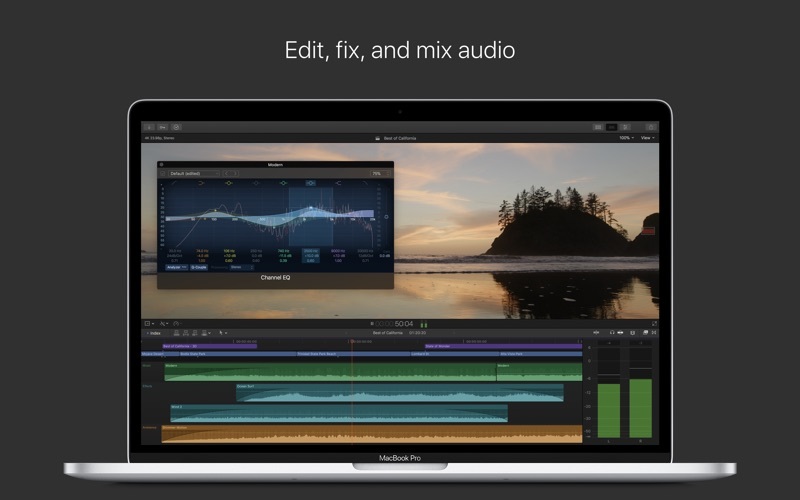 Apple seems to be issuing more frequent updates like Davinci Resolve studio.... I have the paid version for both. Three things they need to fix is the built in luts & the option for drop down Panasonic V-log, Canon C-log & Sony S-log to rec 709 rec 2020 & other options. Eliminate the requirement of dragging custom lut then the desired lut. Add H265 master file as a export option in the dropdown options without the user needing to manually add it.